Fred Mertz wants to impress his ex-vaudeville partner Barney Kurtz (their old act had been billed "Laugh Till It Hurts with Mertz and Kurtz"), by making him believe he's a big real estate tycoon. Lucy agrees to help out by posing as the Mertzes' maid Bessie. Barney, who says he travels around the world entertaining "crowned heads," is duly impressed with Bessie and the Mertzes' obvious affluence. But when a letter from his daughter arrives, informing him that grandson Barney, Jr. will be coming to New York to see his grandfather perform, he admits he is a "fraud." He isn't a seasoned world traveler at all; he's a cook in the Bronx. 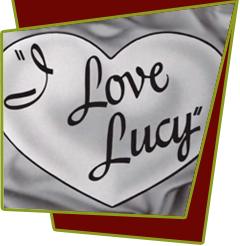 It is also revealed that Lucy is not really the Mertz's maid, but their friend and Fred only owns their one apartment building and is not a real estate tycoon. Feeling sorry for the washed-up vaudevillian, Ricky allows him to perform at the Tropicana. As little Barney looks on proudly, the Ricardos, Mertzes, and Barney stage a revue around the theme of Atlantic City with nostalgic tunes. Special Notes: At dinner, Ethel talks about an actress by the name of Venus Jones. This was the name of Vivian's real-life sister. Bloopers: Fred's old vaudeville partner is named Barney Kurtz in this episode. Yet in episode #19, "The Ballet," Fred said his name was Ted Kurtz.